Background: Keita Takahashi (The creator of Katamari Damacy) had a dream about classic video games being played in unusual ways. One of his ideas was playing Pac-man across the walls and ceiling of a room. I volunteered to realize that dream for him! 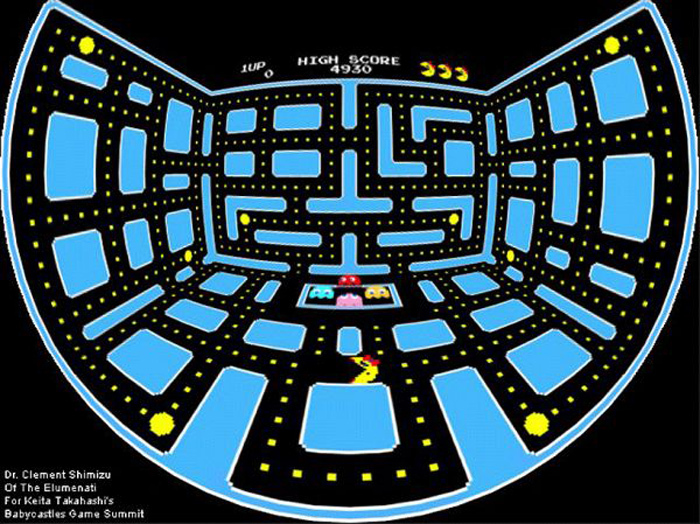 It involved re-writing pac-man from scratch to run in 3D across maze that follows the shape of the room. I adapted the graphics and gameplay for the museum using an Elumenati Omnifocus projector. 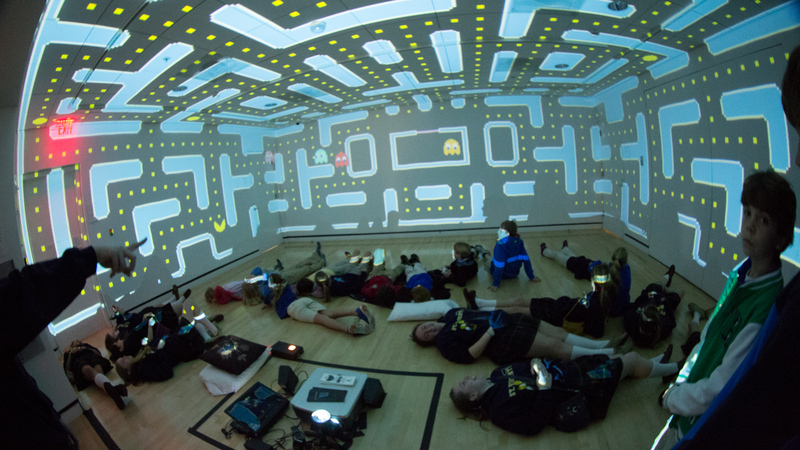 Keita Takhashi’s concept art for projection mapping the screen of PacMan to the walls and ceiling at BabyCastles Summit. 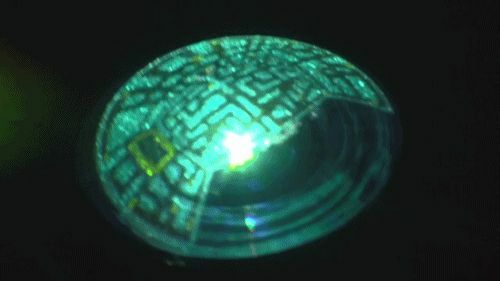 This is what the game looks like before projection through the fisheye lens. Elumenati loaned a very special fisheye projector to pull off for the game. It only required a single projector. 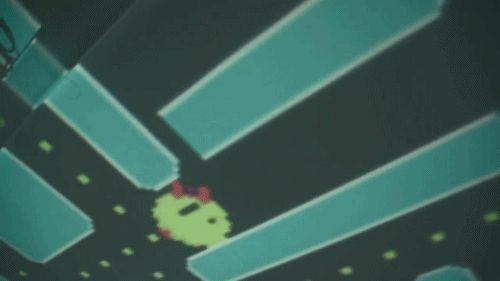 Mrs. Pac-Man is more than Pac-Man with a bow. However, the original author Toru Iwatani asked us to discontinue Mrs. PacMan and only use Mr. PacMan.